A Siberian policeman described as Russia's most prolific mass murderer in modern times has been given a second life sentence. 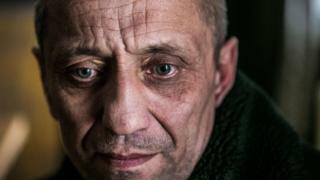 Mikhail Popkov, 53, murdered 55 women and a policeman near Irkutsk between 1992 and 2007. He was already in jail for 22 other murders. He killed the victims after offering them late-night rides in his car. At least 10 were also raped. Popkov was caught in 2012 after a DNA match identified his car. The victims were all women between the ages of 16 and 40 apart from one male, a policeman. In three cases he was on duty in his police car. Popkov killed them around the city of Angarsk, near Irkutsk, with an axe and hammer. He dumped their mutilated bodies in forests, by the roadside and in a local cemetery. He claimed to be "purging" Angarsk of what he saw as immoral women. The death toll exceeds the 48 murdered by "chessboard killer" Alexander Pichushkin, and the 52 murdered by Andrei Chikatilo during the Soviet era. Tyre marks from Popkov's Niva car were found next to some of the bodies, which led police to check all owners of that Niva type in Angarsk. The owners' DNA was checked against DNA found on the victims, and that enabled police to identify Popkov. He was arrested en route to Vladivostok, in the far east, where he had gone to buy a new car. He later confessed to 20 murders. His youngest victim was a 15-year-old girl. An Irkutsk court found him guilty of 22 murders in 2015 and sentenced him to life, but he was kept on remand as the investigation had already started into the other murders. Interfax news agency says he told a cellmate that he had killed more people than Chikatilo. Popkov was found to be sane but with a "pathological attraction to killing people", according to prosecutors. Some of his victims were found alive but died later in hospital. State Prosecutor Alexander Shkinev said Popkov would now appeal in the hope of retaining his police pension, worth 24,000 roubles a month (£284; $361), on the grounds that he had co-operated with the investigators.